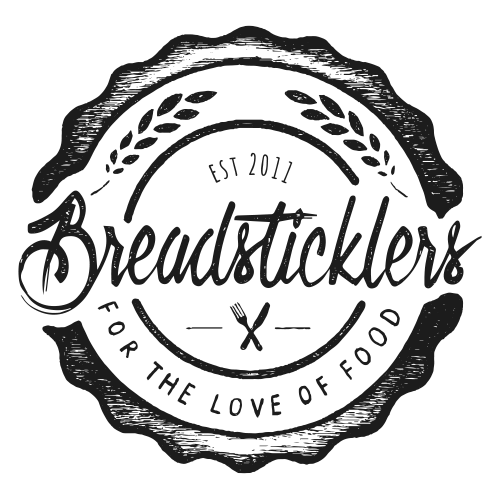 For those of you who have read the 'About Breadsticklers' page of this blog you will know that I rarely post recipes. It's not that I dislike cooking or even that I don't know how to cook, I do, but when I'm not following a recipe I'm making it up as I go along. Making it up as you go along makes it fairly hard to write recipes. However, on this occasion I have made an exception. When you're told that it is probably the best dish you've made to date and it fits in seasonally it seems almost selfish not to share. The inspiration for this recipe came from a meal I had in Edinburgh at The Dogs. Rolled pork belly stuffed with delight and slow cooked, plus lashings of cider gravy and roast veggies. This recipe requires you to roll and stuff the pork belly yourself. I went to Leeds Markets and found a butcher who was generous enough to give me an adequate amount of string to tie up my meat, if you can't find a butcher that generous you can buy it on Amazon (I've since bought myself a spindle it's very useful!). I also bought the pork belly from that butcher (those who refused to sell me some string you missed out on the sale of meat and a returning customer). If you tell the butcher what you are planning to do with the meat and asked for it to be scored then they will generally score it in a way which makes it easy to roll later on. It's important to get the right string, as the butcher explained to me, normal un-waxed string will burn as you cook your meat. The butcher in the market I went to also showed me how to tie a butchers not, you can't get better customer service than that. Shop local keep these amazing people in business. The night before I made my stuffing, prepped and rolled my pork. 1. The first thing to do is make your stuffing. Using a food processor blend your bread, it doesn't matter if there are still big chunks of bread as this will just add to the texture of the stuffing. Once blended to a rough grain place on a baking sheet and pop in the oven for 5 mins at around 200C, shake and then bake for a further 5 mins. Whilst your breadcrumbs are baking find a big bowl, slice down the sausages and empty their contents in to the bowl. Then use the food processor to dice up 3 of the apples (taking our the cores, skin on) and the two red onions. Add these to the bowl. When your breadcrumbs are done add these too, the the fennel, mace and walnuts. Season with plenty of salt and pepper. Time to get your hands dirty and combine it all together. Once evenly combined wash your hands and set aside. 2. There is a good tutorial on YouTube about how to cut, roll and tie pulled pork. They use a much larger piece of meat but it will teach you the basics. Don't be tempted to cut out some of the fat from your pork belly, this helps keep the meat moist through the long cooking time and it's essential you have some juices for the gravy. 3. Once your pork belly is rolled and stuffed leave it uncovered in the fridge over night. This will dry out the skin to give you some awesome crackling. 4. The next day heat your oven to 220C/Gas7. Whilst your oven is heating grab the white onions and the remaining 2 apples and chop in to good chunky pieces. Place these pieces in the baking tin as the meat will sit on top of these and roast. 5. Take your meat out the fridge and rub in a lot of salt, cover with a lashing of olive oil and place on top of the apple and onion in the tin. Then place the meat in the oven for 1 hour. 6. After an hour lower the heat of the oven to 180C/gas4 and roast for another hour. 7. Next add any roast veggies (I did roast potatoes in goose fat, honey roasted parsnips and carrots, and hollowed out some onions and apples filling them with any remaining stuffing from the night before). Leave to roast for a further hour. 8. Take out the meat and let it rest covering it with foil whilst you make the cider gravy. Turn up the heat to crisp up your roast veg. I turned mine up to 240C. 9. Pour the juices from the roasting tin in to a pan and put on a low heat. Then add the flour a tablespoon at a time stirring it in to a paste. Then add your cider. Keep stirring and turn up to a medium heat, when it starts to bubble add the stock. Keep an eye on your pan as it will get hot quickly and overflow, if it looks as if it is about to do this remove from the heat and keep stirring. Sieve the gravy to get rid of any rogue pieces of apple/onion/pork/flour bits etc. 7. Slice up your pork and serve with your roast veg and be generous with the gravy - I had quite a bit of gravy left over (as there was only a couple of us eating) but it was so good I've bagged it up and frozen it for later. Your meat should look like this when you remove it from the oven. Check out that crackling!! The pork should slice where your string has been, a sharp knife will be needed to cut through the crackling. Definitely one to make EVERY autumn.